Trolling motor / shoot-thru-hull transducer with built-in temperature sensor. Delivers expanded underwater coverage with versatility of trolling motor-mount or shoot-thru-hull operation on solid fiberglass hulls. Includes built-in water temperature sensor. Contour curve top and slot for hose clamp simplifies mounting to trolling motor. 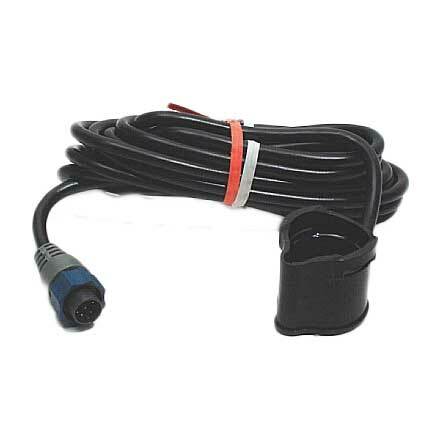 Compatible with Lowrance, Simrad and B&G units with blue 7-pin connector.